In the coldest, darkest weeks of last winter, the soup kitchen asked for hats, scarves and gloves. It seemed like a super-constructive idea to learn how to knit a hat, but I’m still a terrible knitter. 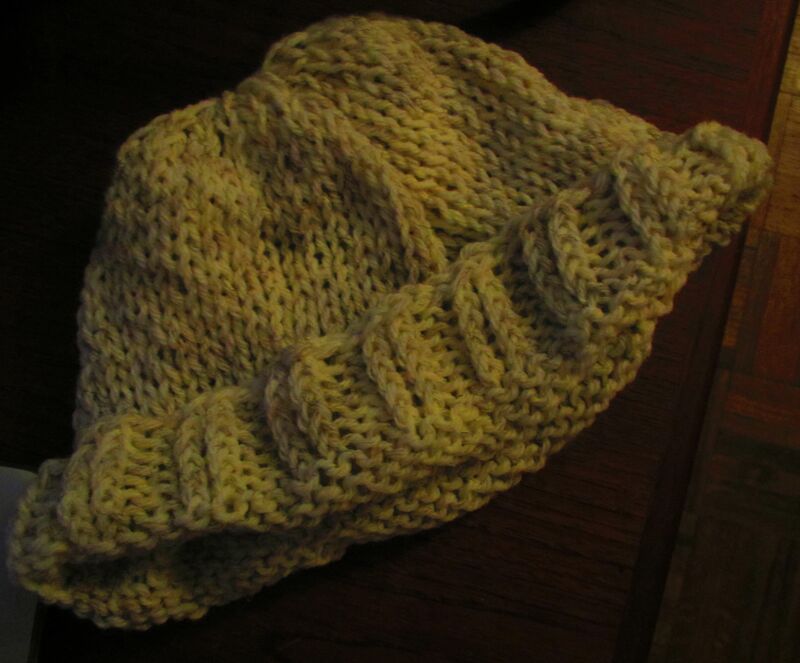 Technically, this is a hat, though it looks like a bowling ball cozy. I don’t want bowling balls to be cold, either. I guess.